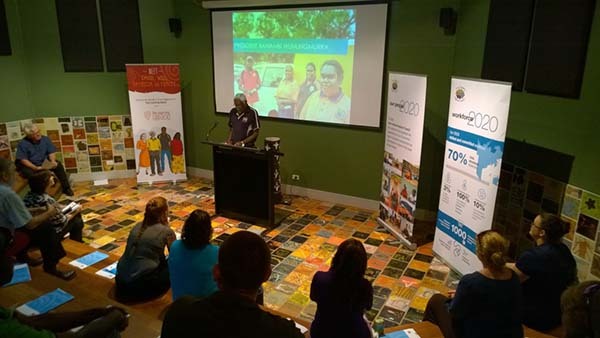 Last month our CEO David Spriggs visited the Northern Territory to help launch our new partnership with the East Arnhem Land Regional Council. We are delighted to partner with the council on their new Learning Strategy, which aims to improve digital literacy and access to services for the local community. “The strategy will be an important vehicle for developing the digital literacy of the community, local businesses and Council employees,” David says. 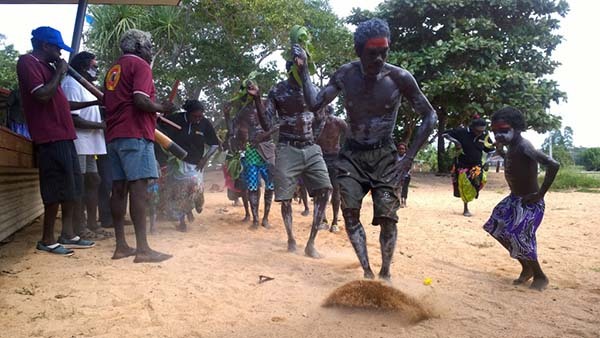 The four-year strategy focuses on developing a highly-skilled Council workforce, preparing people for employment and future careers with Council and the development of communities and businesses across East Arnhem Land. We look forward to working closely with the EARC on this fantastic initiative. Read the East Arnhem Regional Council's learning strategy. President of the East Arnhem Land Regional Council, Banambi Wunungmurra talks to guests.